Table linens, glassware, minute-by-minute timelines…we admit that some wedding planning details can get tedious. The one detail that always provides a (tasty) respite is the menu selection! While you should choose food items that you find delicious, there are some best practices when it comes to crafting a winning menu. We picked our wedding sous chef’s brain to get some hot tips from the pros! Considering seasonality when choosing your menu will ensure that ingredients are at their peak. A crisp salad with watermelon and fresh tomato, for example, is a great choice for late summer when watermelons are sweetest and tomatoes ripest. Conversely, a hearty braised short rib entrée may be too heavy for a June wedding, but perfect in the January cold. When you attend a menu tasting that is potentially months before your wedding, think ahead to your wedding date to select the best flavors for the day. 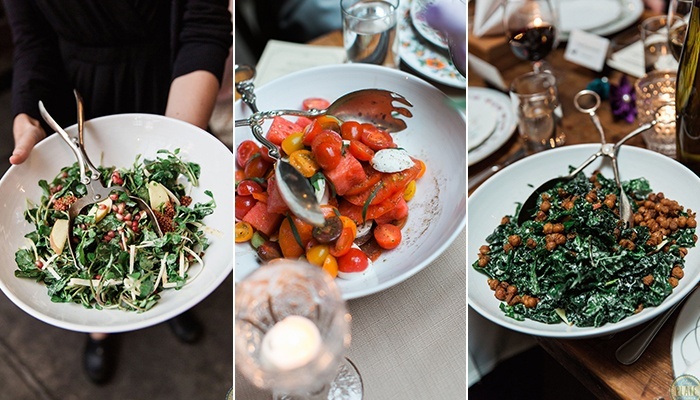 When your menu matches the season, the plates will be vibrant and your guests satisfied. Just because your very favorite items are options for your wedding menu doesn’t mean you should necessarily select them. Be mindful of the way your choices come together to make a cohesive, balanced meal. 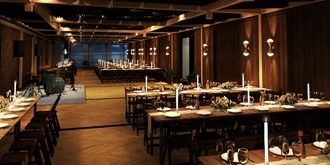 Consider both a heavy and lighter main to entice a variety of guests. Is there something for the meat-and-potatoes crowd as well as those looking for something lighter? Many couples combine a hearty protein with a chicken or fish entrée to ensure that all guests are satisfied. Picture the meal as a whole with salads, sides, and entrées together and think about the colors, flavors, and textures on the plate. Do they complement one another? An ideal plate has a balance of protein, carbs, and veggies. When you hit that perfect note, your guests will rave about their meal. Trends come and go, but taking note of what items have been most popular in recent weddings may help you make your final choice. Plus, we think it’s interesting to see what were the most commonly selected dishes, and hope you do too! 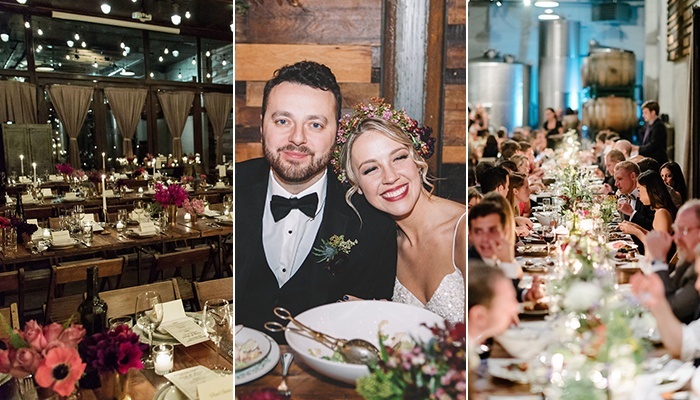 We’ve crunched the numbers, and here are the items on the Brooklyn Winery wedding menu that have gotten the most love within the last year. Diverse proteins during cocktail hour, kale salad, varied entrées—no surprises here! 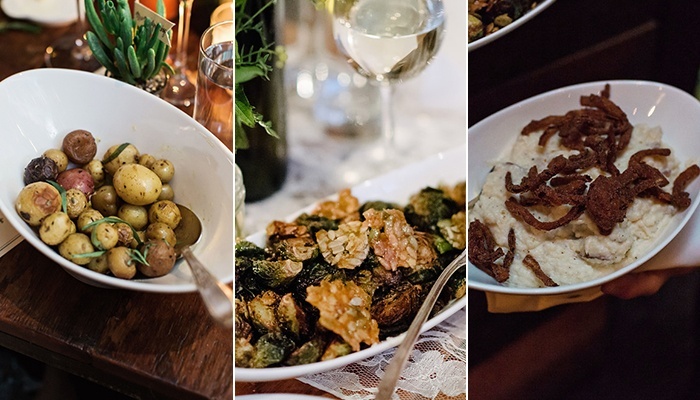 These wedding menu trends really do seem to reflect current culinary tastes, especially with brussels sprouts (who are totally having a moment right now), being by far the most popular side-dish choice. Paying attention to current crowd-pleasers is an easy way to make sure that your crowd is indeed pleased! Picking a menu should be a joyful task, not stressful one. 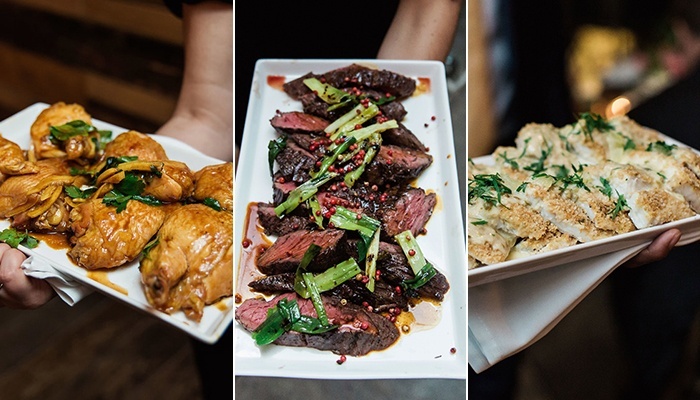 If you consider seasonality, the combination of mains, sides, and salads, the tastes of your guests, and trending items, you will easily build a menu to remember. At the end of the day, the real piece of advice is: don’t overthink it. Great food brings loved ones together, and sharing the first meal with your brand new spouse will be special no matter what. Choose whatever you find most delicious, and you can’t go wrong!